Angola's ruling MPLA party has taken a commanding lead in the country's parliamentary election, provisional results suggest. 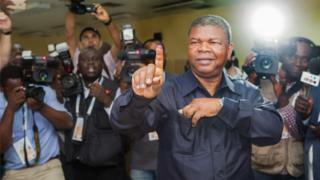 The party has received 64.57% of the vote in the first batch of results, the Angolan electoral commission said. The main opposition Unita party, which has reportedly received 24.04% of the vote, disputes the commission's count. This week's vote marks the end of nearly four decades in power for President José Eduardo Dos Santos. 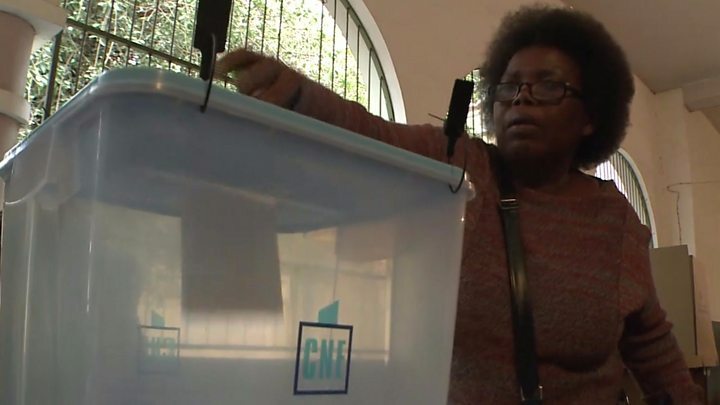 The Angolan electoral commission said provisional results from Wednesday's election show the governing MPLA party in the lead with more than 70% of results in so far. If the lead is confirmed and the MPLA party wins, the presidency would then pass to former Defence Minister João Lourenço, who has been anointed as the successor of Mr Dos Santos. 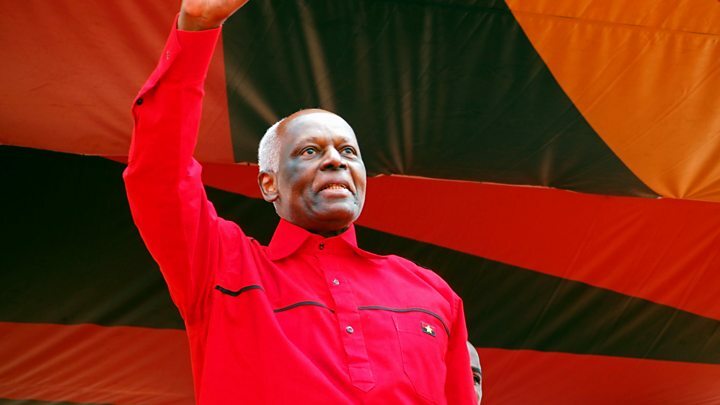 However Mr Dos Santos, whose 38-year reign makes him the world's second-longest serving president, will remain in control of the MPLA party. Meanwhile, the opposition Unita party said it had carried out its own count and that its results were very different from those announced by the commission. The Unita party's Isias Samakuva is the main challenger to Mr Lourenço. Under Angola's voting system, people were asked to choose both the candidate and party in the same election. Voting in Angola's parliamentary election ends on Saturday 26 August due to delays in getting the ballot papers to more than a dozen polling stations in remote areas. The MPLA party has been the only party in power since Angola's independence from Portugal in 1975. Critics have accused Mr Dos Santos's government of corruption and repression, alleging that the country's oil wealth has not spread beyond the ruling elite. While Mr Dos Santos is standing down as president, his children still hold several key positions of authority.